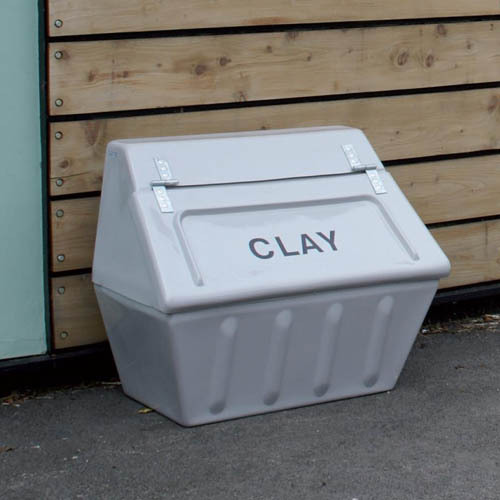 The clay storage unit is manufactured from high impact strength glass fibre composite (GFC). Strong and durable storage containers that are ideal for storing fire sand. Single skinned container feautres heavy duty hinges and CLAY vinyl text in black and is supplied in grey as standard.